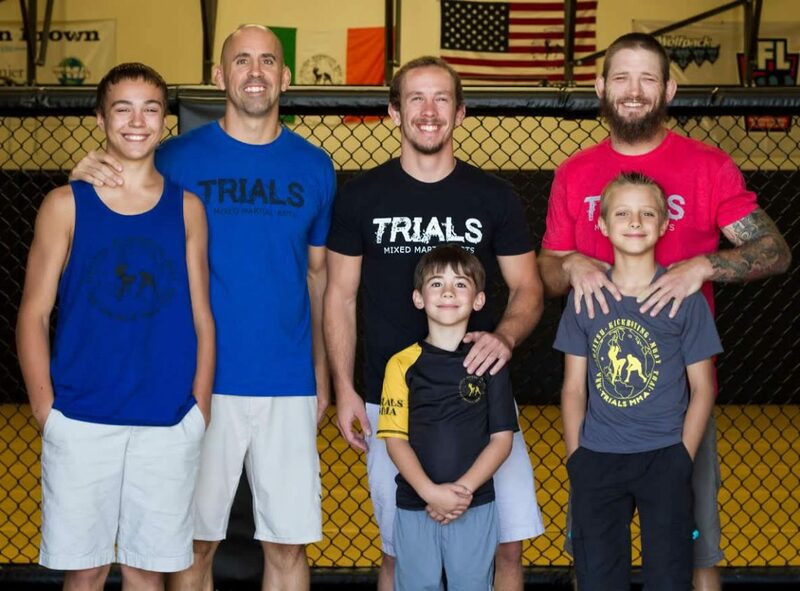 TRIALS was founded in 2010 by World Champion Ryan Schultz, along with professional fighters Ed Herman and Reed O’Malley. The aggressive wrestling based coaching and fighting style of the TRIALS competitors quickly gained the attention of the Colorado mixed martial arts world. Word quickly began to spread about the new gym on the scene and the team hasn’t looked back since. The TRIALS family boasts many local and regional champions, as well as national competitors. In 2016, TRIALS underwent an ownership change when Ed Herman and Reed O’Malley looked to move on in their professional pursuits. This opened the door for long time TRIALS MMA student and competitor, Jerrod Hardy, to fulfill a long time dream of his. The Hardy family jumped at the opportunity to create a new future for themselves by partnering with Ryan Schultz and his family. Both families remain committed to the original idea which founded the gym and that is to make sure TRIALS MMA is recognized as a leader in the world of mixed martial arts. Click here to see the Trials MMA schedule of classes.